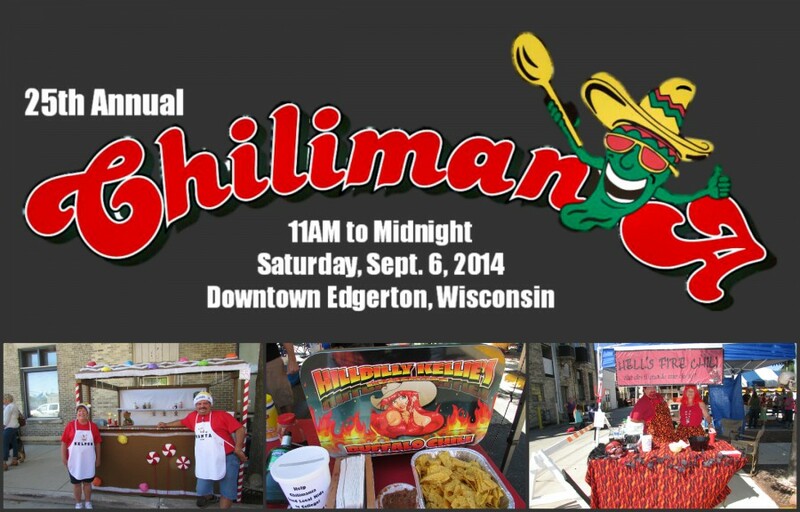 For 25 years, Chilimania has been hosting a chili-cookoff and raising money for local charities. It was our first time attending this exciting event and we were looking forward to joining in the fun! Contestants were from all over the country, many wore cute costumes and their booths were just as creative. 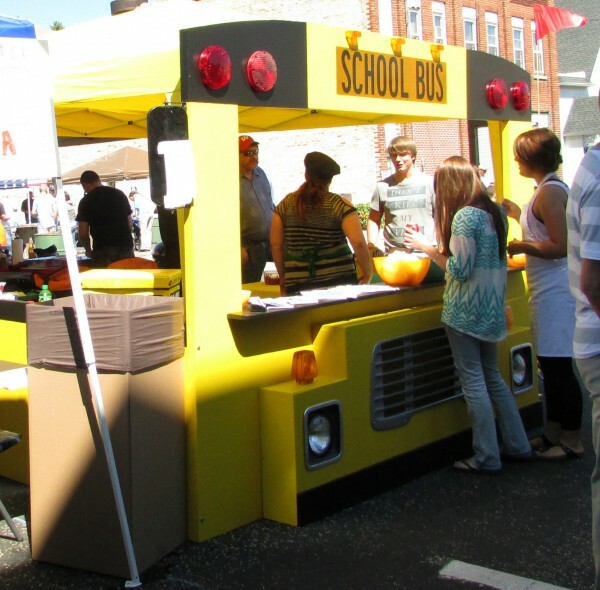 This one looked like a school bus. 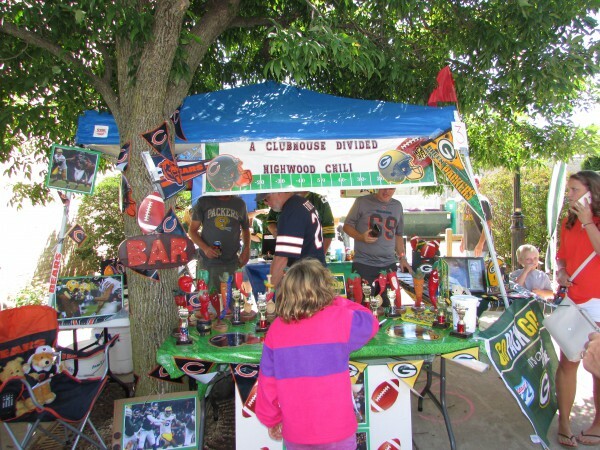 The Highwood Clubhouse had a funny “House Divided” theme, capitalizing on the well-known rivalry of the football teams Green Bay Packers and Chicago Bears. Great booth! 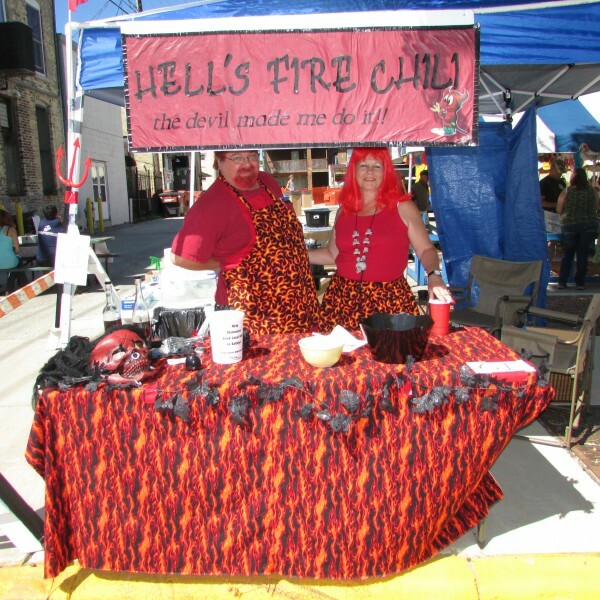 Hell’s Fire Chili won us over with their devil costumes! 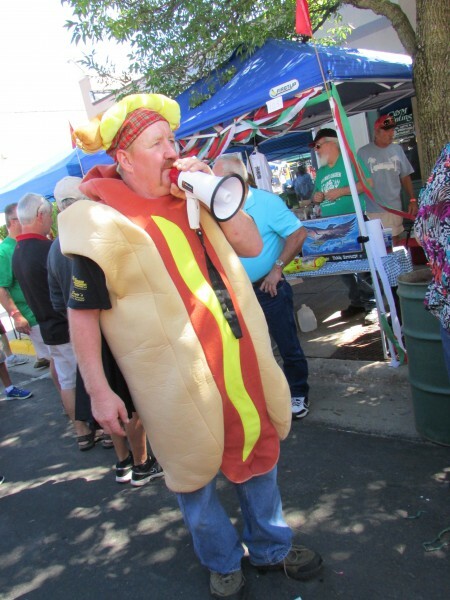 Hosts from The Hog radio station on 105.9 FM in Janesville, dressed like hot dogs. Not only great booths, the music was just as wonderful. The Monday Morning Dixie Band provided music that sounded like what you would hear in the French Quarter in New Orleans. They are the only band that has performed at ALL of the Chilimania festivals. Let’s listen to them perform “Sweet Georgia Brown”. The Chicago Experience tribute band to Chicago played all the old favorites! 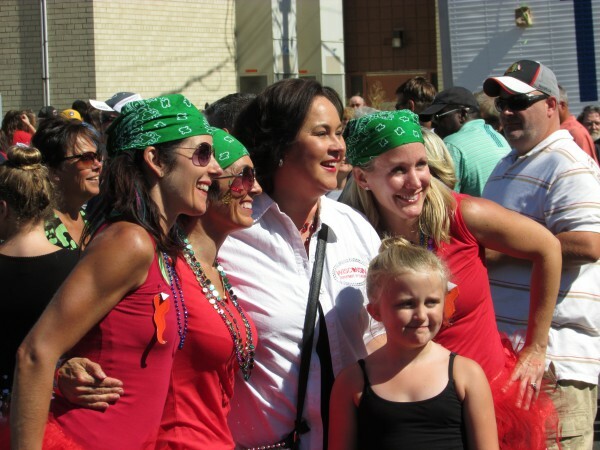 Special Guest Stephanie Klett, former host of Discover Wisconsin, read a special proclamation praising the work Chilmania has done raising money for charities. Great job! She even posed with some of the attendees. Right after that at 3 PM, it was time to taste the chili. 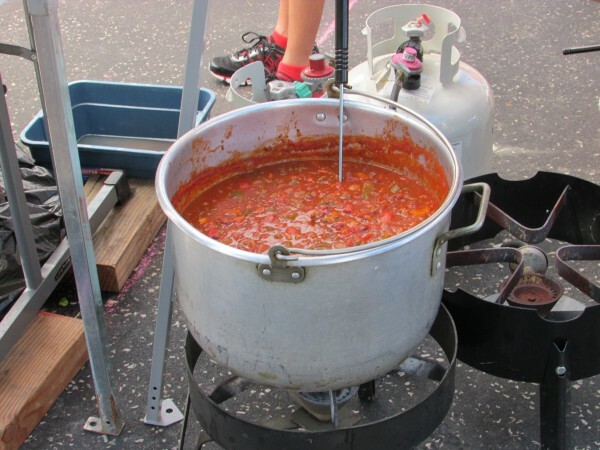 All the festival-goers were now able to try the chili at all the booths and vote on their favorite. The flavors were all so different and wonderful, it was hard to choose. We did choose though and cast our vote. We had a great time and hope to come back again.